Here is a general help sheet that can give you a good start on how to use the catalog, suggested databases, search tips, etc. BrowZine™ @ University of Tennessee Libraries! 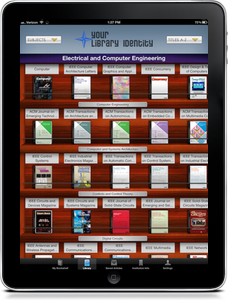 Read scholarly journals of your choice directly from your iPad or Android tablet. If you are off campus make sure you log in to gain access to the full catalog! Click above the got the the video streaming guide.